You are here: Home » Can I Marry Him (or Her)?, Converting to Islam, Divorce, Haraam Relationships, Islamic Answers 2012, Long Distance Relationship, Premarital relationship, Want to Get Married » I want to convert and marry another man, but I’m already married. I want to convert and marry another man, but I’m already married. I hope someone can give me advice about converting into a Muslim. I'm a catholic and I'm married with my husband 2 years now. The problem is that I am falling out of love with him because he acts like a child and also we've been apart for four years now. We used to see each other once a year if he will have his vacation in Philippines. I met him thru chat, and he's the one who was in a hurry to marry me while I wasn't ready for that time yet. I have loved him but he is not that responsible to me as a husband, and that caused me to fall out of love with him. I met this man who is my friend and he is a Muslim from Saudi. Everything I am looking for in a husband i found it in him, and he treats me like a queen. He knows that I'm married and he knows every little detail I'm having with my husband. He wants to marry me, and I already love this guy. He's always there for me and we used to see each other 4 times a month because he's a pilot. The problem now is that my visa to my husband in theUK was released already just last month, and I'm so cold with my husband and he knows that and he can feel it. He loves me so much I can see, but he never became or showed me his responsibility as a husband. My boyfriend the muslim told me to go there in the UK because it will be easy for him to get me from there and he told me that if I will convert to Islam and marry him I will no longer be married to my husband. Is it really true? And do you think its against the law? I'm concerned that my husband might file a case against me for"bigamy". I don't know what to do, help please. I want to know if I convert to be a muslim and marry my boyfriend, will the marriage I have with my husband no longer be certified? Sorry for my English. I hope I can help bring some clarity to your situation. I'm sure from your perspective it seems rather confusing and complicated, but in reality it is probably a lot simpler. The first issue I would like to address is about the person you are interested in, the Muslim man. I would like to say right away that even though he is Muslim, he is not practicing Islam. You see, if he was truly trying to live his life the way God willed it, he would have ceased all contact with you from the moment he found out you were married. Instead, he has continued to correspond with you and even visit you. Those behaviors are strictly forbidden in Islam, so for him to go against what he knows he should be doing tells a lot about his character. Ask yourself this question: Do you really want to marry someone who is only a Muslim in name only? Would you want to marry someone who is possibly quite capable of not honoring you as a wife, and is seemingly quite likely to cheat on you? I hate to say it, but someone who doesn't guard their modesty before marriage, is not so likely to guard it afterwards. Coupling that with the fact that he is a pilot and will be away from you a lot due to work, and further exposed to opportunities to meet other females, the chances are lowered that he will be a dutiful husband to you as he should be. As it stands right now, I would seriously have to question whether or not he already has a wife in his country of origin. Unfortunately, many times men like these already have wives and are picking up second, third, even fourth ones internationally and causing grief to all the women involved once the truth comes out. My advice to you is this: if you want to convert to Islam, do it because you want to be a Muslim from the heart. Don't do it just to be with someone, because in all actuality it's not "required" for you to be a Muslim to marry one. Muslim men are allowed to marry Christian and Jewish women with no problem, so if he is telling you that you must convert to marry him he is showing another error in his understanding of Islam. If you really want to find out the truth about our Creator, and what He has revealed as His plan for us under Islam, by all means continue to learn about it and then make the decision to follow this path because you sincerely wish to. As far as your current marriage: I hate to say it, but regardless of how bad it is you are still married and even according to Catholicism you should not be taking a romantic interest or meeting with other men. It is considered inappropriate behavior even in your current faith, so there is no excuse for you to continue it on any level. If you don't want to be married to your current husband, then divorce him. It's as simple as that. It really should have nothing to do with visas or potential remarriages, but what you want for yourself. You have to ask yourself this: if you had never met this Muslim guy, what would you be doing with your current husband right now? Would you be going along with him to UK just because you don't really want to go through the trouble of divorcing? Then that's what you should do. If you would've ended the marriage with him before getting stuck with him over there, that's what you should do. Your decision to end your marriage or stay in it should be decided without this Muslim guy being a factor at all. Finally, to answer your question about the divorce being nullified if you do convert: If you become a Muslim, and your current husband is not a Muslim, then he has a specific timeframe (I believe it is 3 months) to decide whether he wants to convert as well, or not. If he decided to convert within that time, then your marriage continues as it would under any other circumstances. If he decides not to convert, then after that timeframe expires your marriage is considered invalid ISLAMICALLY. This means in the eyes of Allah, you are no longer married and are free to remarry anyone. However, it does not mean that you will be automatically divorced according to whichever law or country you married under, so in that sense your husband could very well bring a bigamy case against you if you remarried (even Islamically) without completing a civil divorce from him. In Islam, an Islamic marriage and a civil marriage are not one in the same, and so they have to be dealt with separately. So to answer the issue of what this Muslim man has told you: No, the moment you become Muslim is not the moment your marriage becomes nullified. It has to be dealt with as I outlined above. You have quite a bit to think about. First, think about what you want for your own life- what kind of person do you want to be? What kind of relationship do you want to have with your Creator? Do you believe Islam will bring you where you want to be? After you've answered those questions and made those decisions, then you can decide how you want to handle your current marriage. Only if you find yourself single again should you be looking at other relationship possibilities, and that's the truth whether you become Muslim or not. Having seen your reply, it seems you can help me to get the solution of my problem.. I am having a similar case as Neftum has but i am a male.. I am married to a girl last year but she left me after staying with me for 3 months..My marriage is registered in temple as per indian law (we have to register marriage in temple where marriage solmnized and later it can be register in Indian marriage court.).. But we havenot registered the previous marriage in Court however the marriage is legal as per indian law, Now, i am converted muslim and want to marry a muslim girl. Is it legal if i marry to her? However as per islam i can keep 3 wives. If you are going to revert to Islam, then let me know your intention. whether this reversion is just for getting option of three or four marriages, or you are reverting for the sake of Allah, and inspired by Islamic fundamental beliefs. Obviously you might have right to marry with 1-4 girls at a time, because this permission is granted by Almighty Allah the Greatest the Glorious and Exalted One, but with a condition, that if you can, make justice with all of them, if you will fail in making justice with all of them....then its better to marry one, God says in Quran. But your intention should be the later one...means, you should inspired by preaching and beliefs of Islam. Dear Mukti, please register and submit your question as a separate post, and we will answer you in turn. Hello.i converted muslim last december 15 2014 .and now i want to get married to a muslim man also.is it possible to get married again even im still married with my christian husband? Yam, we have published many posts on how to get an Islamic divorce in the Philippines. Please search our archives. assalamu alaykum! im a Christian Filipina girl, ive been married before in Christian man in my country and had 4 kids. but since i left the Philippines i doesn't feel that i love this guy anymore coz he is not responsible to our kids. so when i came in uae i met a Pakistani Muslim man and we love each other so much. we planned to get marry and live in to their country. according to him he is willing to accept my kids but now he told me that he cant marry with me because im still married (we dont have divorce in Philippines) and hid culture is different and he believe that i will leave him to stay with my family in Philippines. i can feel he truly love me and i do as well. what should i do? im willing to convert in Muslim just to marry him. i need your advice please. thanks! It has the same issue as yours, and the solution. The only difference is that the Christian girl in this case reverts to Islam based on her research. But in your case, it is driven by love. Anyways, if you are convinced with Islam as your Religion, then revert to Islam and follow what the Ulama (scholars of Islam) say in the above link. hey all muslims and non-muslims. Listen me. Read quran 4;77 and 67;2. Allah testing us. Don.t believe this world only. We have endless world in paradise. And you must must must search in internet. That key word is 'quran miracle'if you a human. You should she that verse and involve in research quran miracle. Is my marriage is valid? Pls help me for my query...Thanks and God bless!! Aisha, from an Islamic perspective, your marriage is valid. Your conversion to Islam invalidated your previous marriage. I'm assuming that you met other conditions such as having two witnesses and payment of the mahr. However, you still need to secure a legal divorce in the Philippines, so that you can marry your new husband according to Philipino law. If you need further advice, please log in and write your question as a separate post, thank you. You have any contacts for sharia lawyer in philippines? No, I'm sorry, I do not. 1. Mutual consent; 2. Payment of mahr or dowry to bride; 3. Representation of the bride by her wali, though in your case this may be waived since you are previously married; 4. Presence of at least two witnesses. 5. Publicization of the marriage through a waleemah (wedding party). If you need further advice please register and submit your question as a separate post, and we will answer you in turn, Insha'Allah. u help me a lot very much appreciated brother wael. You cannot marry a married woman. She must be divorced before you can marry her. nery, these are questions that should be directed to the appropriate authorities in the Philippines or Malaysia. im jocelyn and i want to marry a man he is already convert in islam before we met.the problem is he is married to a christian girl and not yet divorce what can i do pls help me...im also convert in islam before i met him and im a single not yet married....can he marry again? i am mariam, i converted to islam i ws a catholic before and married and not yet annuled, i just wanted to ask that if i get married again islamically with my muslim fiance is it legal? like if soon after we got married if we plan to have kids does are kids will freely and legaly carried by there father's surname. because we are living here in uae. Hi is this number still working? Wael, me and my husband converted to Islam. HOW CAN WE GET A LEGAL MARRIAGE PAPERS .I am not legally divorce from my Christian husband,6yrs we are separated now and he has his own family now...WERE BOTH PILIPINO.. I just want to ask if this number still existing. Brother wael, there are different opinions regarding the issue... Some schoolers, her with her first marriage is still valid, untill she returns his bridal money to him and divorce him (she can even divorce him by saying it to him verbally. Ie, telling him something like "i divorce you and i dissolve this marriage"). But the condition is she has to return his bridal money to him. Some other schoolers go with the opinion that her marriage with her first husband i annuled, going by the condition that is surrounding the marriage, her conversion to is, and there long separation.. But the correct opinion is that there is no marriage between here and her first husband. Reason being a muslim woman can only marry a muslim man, but a muslim man has the option to marry nonmuslim women. Mohd, thanks for pointing this out. Most non-Muslims don't pay any mahr or bridal money, in any case. Seems very like what I'm going through. Just cut all contact with this other man. It's not worth messing with your marriage. If you want to convert to Islam from you heart go ahead other wise don't. Good luck!!! Its been two months since i convert to Islam and I met a muslim man and he want to marry me in the Philippines. Can we marry in islamic marriage even if I married before in a Christian husband? Also, I have not seen my husband for 18 years now and i dont know his whereabouts? His family will be coming here to arrange our marriage? Will it be valid? Please help me. Zehra, your conversion to Islam invalidates your previous marriage, so you can marry the Muslim man. Thank you very much for the reply. May Allah guide us. Your case is same as mine but only few differences. I was married before when I was a Christian. I filed my annulment back 2013 up to now I am still waiting when it will be done. I reverted to Islam after I filed my annulment even if I am practicing Islam before I went to court. I am separated with my ex christian husband since 2008. You cannot just get married right away. You have to go to Family Guidance and seek for dissolution of your previous marriage. File Divorce to court. and If it is granted then you can marry after but you cannot file it to Philippine govt because you marriage still not void. You cannot inform anyone in you ex husband or your ex husband because he file a bigamy case against you. hi farah same situation here .i want to file a divorce here in dubai but whenni ask a laweyr they are asking for too much.how much u spend in divorce and how long it will take? good day,i just wanna ask if the same filipino we"re both marriage here in the philippines can remarry in dubai U.A.E if they we're convert to muslim?pls reply to my email.because i found out my husband planning to remarry to his filipina mistress. If you have already converted to Islam and so has your husband, you can remarry in Dubai by doing a Nikah. Why is your husband marrying someone else? I think you will have to mention that clearly in order to get the correct response. Please login and create a new post with some details. In sha Allah, we will publish it in turn. i found out my husband have a filipina gf in dubai.some one told me if they convert to muslim they can remarry.i just want it to know if it possible? Polygamy is permitted in Islam (although not universally practised or required), so it is allowed for men who revert to Islam to marry again and have up to four wives. What is not acceptable is for a Muslim man to have extra-marital relations. By formalising relationships by marriage, the rights and responsibilities of all parties are defined and protected. I hope that you are able to find peace. If you require more in-depth information, please submit a post and we shall answer it in turn, inshaAllah. i am a catholic born i have a husband i left 5 years ago because on the 3 yrs of our relationship he had 5 ladies and 3 he had a kids, for 3 years i was crazy of holding our relationship to think that my daughter dont have a father,but my heart did not carry that much! my ego kills me,now i am here in dubai 5 yrs no communication no support to our child from his side and he did not even seen her for 5 yrs, now i meet this Muslim man i decided to convert to muslim not because i want to marry him and he want to marry me i want it as i can feel peace and clear of mind when i here a prayer i just close my eyes and its like a great heal to my self!!! we want to live with bleesing of Allah but i am still tied on a piece of paper. It is great to hear this. Indeed, prayer is soothing to hear. Then just imagine yourself praying, how great the experience? Sister, if you believe in Allah as your Only God and Muhammad peace be on him as His Final Messenger, then you are ready to become a Muslim. You can approach an Islamic Center or a Mosque in Dubai to pronounce the Shahaadah and get a certificate for having reverted to Islam. Shahaadah includes two testimonies: That there is none worthy of worship but Allah, and that Prophet Muhammad peace be on him is His Servant and His Final Messenger. And sister, when you become a Muslim, according to Islamic Law, you must wait 3 months (which is supposed to be time for your Christian husband to think about Islam). After three months, your marriage is considered void as per Islam. You will be allowed to marry a Muslim man then, because a Muslim lady can't marry or remain married a non Muslim. I welcome you to Islam, the only Religion acceptable with the Only True God. If you need further advise, please submit a new post after logging in. i am mariam, i converted to islam i ws a catholic before and married and not yet annuled, i just wanted to ask that if i get married again islamically with my muslim fiance is it legal? like if soon after we got married if we plan to have kids does are kids will freely and legaly carried by there father's surname. because we are currently living here in uae. Actually at first ive decided to be a mulsim to to marry someone who is muslim but because i felt it by heart and i felt peace when im talking to allah. but somehow allah is very good to me when he saw me that i am sad and really wants someone to be with me whatever happens indeed he gave me one man who i think deserves my love until the last second of my life. i hope u could really help me with this. if we got married are we going to have a legal islam marriage papers so whatever happens like if i got pregnant by the will of allah after our marriage it is safe here in uae? i just really wanted to be a wife for a second and last time to the man that i throughly love.. thnak you very much MAY ALLAH BLESS US. if i marry the love of my life who is a muslim man will i be his wife legally?are we going to have papers? thank you so much. I am married back in philippines last 2008 , but our marriage not work out maybe because we are young and hurry that time. Almost 3 years now we seperated, i'm here working abroad and as i talk to him he tell me that he want to be free again so i gave to him his will. Im planning to convert to muslim not because i want to get married maybe in future yes ! But i been confuse if its possible to get married without annulled? As you know in philippines divorced dont exist and its expensive and time consumed. Is it true as per my reading here , its possible to get married again.? ayesha, yes, if you convert to Islam it will annul your previous marriage (from an Islamic perspective), and you can marry a Muslim. As far as the legal situation in the Philippines that's another matter and you may have to pursue annulment in the courts there or however it is done. Can a christian husband convert to Islam just so he can take back his wife who converted to Islam and married another man? Can he let his wife be condemn ? Emie, you could convert to Islam, but whether your wife chooses to leave that other man and remarry you is up to her. And since you are describing a conversion that is not sincere, I doubt she would do that. I'm sorry that you lost your wife, but you have to let her go. The two of you are on different paths. I am sorry, i know i shouldn't ask here but as i am new to this site and yet to understand its working, hence i am bothering you asking here that i have put up a post from my mail id and status of it as of now is -pending. Has it been accepted? How much time will it take to get published? I am in urgent need of advice hence asking, please guide. thank you. I am asking for anulment but shes not cooperating, so i think i have to make something that will make her regret..to convert to islam and condemn her. I can also file bigamy to court.. Am i right? As Islam u should proscribed Islam women who have multiple husbands. I dnt feel love anymore to her, what i want is for her to suffer the consequences..Islam must not tolerate woman committing such act..it is haram. Trust me, she's going to have to regret this sooner or later. But as a disbeliever, your regrets will never end, while if she stays and dies a Muslim, her regrets will one day end. So in that case she will have the advantage over you. I suggest you convert to Islam yourself, marry someone better than her and be better than her. That way, you will have the permanent advantage. And you can take your right from her in the akhirah. This is a narration among the narrations that were revealed to us concerning justice. Don't worry-God sides with the wronged. However, you are committing a great injustice which is failing to follow the first commandment. This is an injustice that is never forgiven unless you repent before it is too late and the matter has been decided. You need to enter Islam. Only than can any revenge you get on her be meaningful. With that said.....forgiveness is even better for you. I am hoping for a JUST answer. Do you, as Islam tolerate christians to be using Islam in committing bigamy and adultery? They get married without posting a notice. If they did it right she should divorce me before she married an Islam man. Yes she thought that her marriage with me is dissolve but only in "islamic way" but i am sure i can still file cases against her in our country because she didnt do it legally..am i right? Emie, it sounds like your wife did things the wrong way. Upon accepting Islam there is a waiting period before her marriage to you is dissolved. During that waiting period she is supposed to remain in your home, and give you a chance to accept Islam as well, to preserve the marriage. She is definitely not supposed to be with any other man during that time. As far as filing a case against her, I don't know the law in your country. You should consult a lawyer. Isn't it that they don't have to remain in the home but they do have to wait the idda? And she should definitely have gotten a proper civil divorce. This man has a right to take her to court for whatever. Jake, yes, you can divorce your first wife and marry again if you choose. Hello! I have enormous questions regarding conversion to Islam. I am married to a man whom i lived in with for almost 12 years. I was married year 2011. my husband and i have 2 children but just 2 mos after our marriage i learned that he was womanizing and had an affair with my sister. it torn me into pieces which led me to work to here in uae for my children. despite the things he has done i still treat him civil but my love for him is no longer there. Then i met a man whose totally way ahead of my husband unfortunately he is also a married man but he cut relationship with his wife after discovering that 2 mos after he left philippines she cheated with another man. we are both on the same situation where in both of us have been hurt by our partners. we want to be annuled from country but we know it will take ages for it to be granted. We aspire of becoming muslims to be married and live in peace with our new religion without our ex partners bothering us again. Is it possible in out case to be married? what are the requiremnts in converting from christian to islam and how long does it take for us to become muslims?? The only true requirement in order to become a Muslim is that you truly believe in your heart that there is no God but Allah and The Prophet Muhammad (peace be upon him) is His Messenger. I would urge you, though, to seriously consider all aspects of Islam - if you accept Islam, then it influences every action you make - this isn't a "once a week and at holidays" religion. While a Muslim man can, under certain conditions, have more than one wife, a Muslim woman must have only one husband, who must be a Muslim man. If you both accept Islam because of true faith in its teachings, then you could speak with local scholars regarding the issue of marriage. Being Muslim won't automatically mean you can get married - this is a complex issue that needs discussed with local scholars. If you require additional advice, please log in and submit your query as a new post for publication, so it can be answered in turn, inshaAllah. this "conversion" matter really hurts me.. please don't use our religion just to escape from your issues.. if you really want to be a convert then do it in the name of ALLAH and not for other reason..
i am a certified Shariah lawyer base in the Philippines..
i am willing to give free legal advice if i could see that your conversion to Islam is sincere..
Salam I am married 2002 but separated 2004. I am now converted to Islam 6 years ago. I met a Muslim woman and want to marry her. My 1st marriage was not annulled. Can I marry again legally? abdulrahman, legally according to what law? According to Islamic law, yes you can. I am a filipina woman working in Uae for 7 years. I'm a catholic and married for 14 years but separated for 8 years. My filipino husband still connected to me because of my childrens support. I'm not file an annulment still now. I had a bangladesh boyfriend for 2 years and we are planning to marry, its is possible that i convert to islam and marry him here in uae without annulment? I need an advice,,,Thank you! This is a legal question, and we do not offer legal advice on this website. You would need to speak with attorneys in both UAE and Phillipines to get a precise answer. Speaking generally, converting to Islam shouldn't be a requirement to marry, as muslim men are permitted to marry christian women. s now as amuslim..i want to have peace n be happy...my question is it possible to remarry my muslim bf now that were both muslim eve im not fully annuled yet?how long I nid to wait to remarry?is that months to wait is valid to remarry here n dubai court even i dont have necessary papers to show that im annuled as long that month duration is over? kristelle, after you convert to Islam there will be an 'iddah (waiting period) during which time you must give your husband the opportunity to embrace Islam as well, in which case you will remain married to him. After the iddah is complete, you are free Islamically to marry someone else. As far as Dubai law, I do not know. We have answered many questions similar to yours. Please search our archives. salam, if you said you are A filipina, you will need to get your first marriage a declaration of nullity or annulment, before you can legally enter into a second marriage, otherwise, here in the philippines you shall still be considered married..if you are true regarding your conversion then inshaAllah, that same religion of being muslim is also the only way which can declare you marriage be declared dissolved, but that is only upon the approval of your former husband to embrace islam too..in which case you shall be covered by the philippine shariah law. hasna, please do not share your private contact information or advertise your business here. If you want to advise people then do it sincerely for the sake of Allah. Hi, good day everyone! I have read some of the concerns here posted by our brothers and sisters. I understand that after going through a process of conversion to Islam , it is stated here that you can remarry again. How it can be possible when your first marriage in Christian rites is still existing and valid? Does getting a second marriage in Islam doesn't require any documents to prove that you're capable of re- marrying and is free from whatever illegalities? Hope you can enlighten all our minds by having a specific answers to these questions. Thank you in advance and more power! It is indeed sad to think that most of our friends in other faith tend to make conversion to islam an escape goat to their bitter sweet marriages. However, Allah knows best and we are not to judge them. Everything that happens to us is the WILL of Allah. To clarify Janah's question I do believe that ROMM (registry of muslim marriage) requires a certificate that states u r single or free from any ties before one can legally marry. However, it is also clear that conversion to islam invalidates one's previous marriage (other faith) unless the (Christian ) husband/wife decided to convert within Idda period (within 3 month after conversion). I hope I was able to help clarify a bit. Greetings!!! I'm married to a Christian man working in Saudi. My concern is that I got a news from other people that he got married to a married Filipino woman also working in Saudi by converting themselves to Muslim. They now have a one year old baby. I have proof that the girl is still legally married here in the Philippines. Is there marriage valid in Saudi? I just wonder how they got married when both of them are still legally married here in the Philippines. How can I ask help to file complaint against both of them since my husband's allotment for my three children is not anymore sufficient. The girl had been harrasing me through phone calls and publicly posting their family picture in saudi allowing my children to see it. Hope you can help me regarding my concerns. Thank you so much. diana, you should consult a family attorney in the Philippines who can advise you on how to sue for proper financial support from your husband. to Miss Diana..try to file a VAWC case against your husband for non support. Roselain, mabrook (congratulations) for embracing Islam. May Allah make the deen a source of light and guidance for you. I don't know the answer to your question about divorce. This is a question about Filipino law. You need to consult with a divorce lawyer who can advise you on this. It could be possible to divorce him because you are only married through civil not in the church. Ask for an advice from Muslims and they can give you more idea about it! Otherwise, wish for the divorce bill to be approved. Annulment takes years and lots of money. You can appeal to have your children �back in your care because their father is not in the country and you as the mother has more rights than his mother! Give them the lesson they deserved Appeal and take your children back and do the same thing back to them so they can feel how you feel!" having this qouted from a lawyer, what are the possible steps I can do to divorce my husband who has not communicated with me for 6 yrs now.My husband is not a Muslim. I hope that Allah will give me a good husband in the future. From an Islamic perspective, if you convert to Islam and your husband does not, you are automatically divorced after a short waiting period. However, if you want to know how to secure a legal divorce in the Philippines, I have no idea. As I said, I know nothing about Philippine law. I think the lawyer you consulted is confused. You should consult a lawyer who knows about Shariah law in the Philippines. A Muslim man is allowed to marry a Christian or Jewish woman, so if he converted to Islam and his wife was Christian, then he would not automatically be divorced. Islam places the man in the position of head of the household, and assumes that a Muslim woman who married a non-Muslim might be coerced or pressured to abandon her faith. and i am marry as christian but 11 years seperated to him without communication. i want to marry a man same converted to islam, is it possible to us to get marry here in dubai.... and where. I am a catholic woman and married to a catholic man.we been separated for 10 yrs.but not annulled yet.I found out my ex husband converted to muslim to marry a muslim woman.Is it possible that our marriage will be invalid already? Coz as far as i know our law in the Phil.prohibits a man or woman to re marry if not annulled yet.any one of us will be accuse of bigamy.So, my question is this..does my husband marriage to this muslim woman valid because he converted to muslim and made our marriage invalid w/o annullment? Thank you hope to hear from you. monica, your husband's new marriage does not annul your marriage according to Philippine law. You still need an annulment or he must secure a Shariah divorce under Islamic law. Hi, thanks for the reply Wael.So if my husband will secure a shariah divorce under islamic law then are you saying our marriage will be invalid already? We been married in catholic church and in civil.Now he is married to a muslim woman coz he converted to muslim.I dont want any argument with them what i want is also my freedom from him and annulment or divorce is the only way our marriage would not be valid anymore.So when he secure a Shariah divorce under islamic is also one way our marriage will be invalid?..thanks waiting for your reply again. And how about his new marriage in muslim are they legal? Coz my husband will be facing bigamy in Phil.law by marrying another woman w/o our annulment. "Homeless", if you convert to Islam, your marriage will automatically be dissolved after a short waiting period, then you will be free to marry a Muslim man. This is from an Islamic perspective. Philippines law is another matter. Can a muslim marry with a Catholic woman without conversion of islam.????? Yes. But is it a good idea? That depends on many factors. It's always better to marry a Muslim if you can. me and my boyfriend are married here in the philippines but we both did not want anymore to stay and live with theme, my boyfriend plan to go back to saudi arabia where he is working and to convert into islam and plan to follow him in saudi and i will also be converted into islam and to be marry him in saudi under islam. is our previous marriage in the philippines is still valid and thus are married in saudi arabia under islam will be recognized there is our marriage to our former husband and wife will be no harm to us when we are in saudi is his wife will no longer filled cases to us when we are in saudi? Are you both still legally married to your previous spouses? If you convert to In Islam your new marriage will be recognized. But I cannot speak about Philippines law. 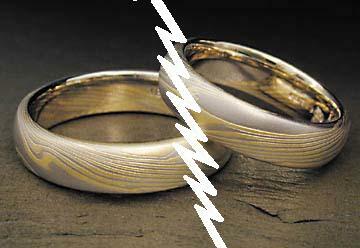 My understanding is that you still must secure a divorce or annulment if you wish to be free of civil repercussions. How I married my boyfriend here in Saudi Arabia his from Paris France it is possible ? He want to marry me but i don't know if we can be together here because. Please give me advice ? I'm sorry, but we are unable to provide the information you are seeking. We don't have any information in Dubai- We are based in the USA with staff here and in UK. If you want to see if your marriage is still valid in India, you will need to speak to an Indian attorney or authority. Same with checking on what her status is in UAE. its not that I am using Islam just for my own intention, its been a long time i seek for an annulment with my husband but doesn't want to cooperate. Now I am happy and love my Muslim boyfriend for almost 3 years. He is married but separated with his wife and have 1 kid. We are both a failure from our first marriage and we didn't know that we will fall in love happy with each other. I love him so much and I am willing to embrace with my whole heart his religion.We know that we commit a sin and we seek for ALLAH's forgiveness. we hope that its not a sin to find love with each other. He told me that he wants to marry me here in Philippines but I don.t know how it can all be possible. Please help us. Baug, does your wife know about what you are doing? Or are you lying to her? If your wife doesn't know, then you will quite likely destroy your marriage. If you need advice on your situation then please register and submit a detailed post, and we will answer you in turn, Inssha'Allah. After I convert to islam is that possible I. Can him???? From an Islamic perspective, if you convert to Islam then you can marry him, yes. However you should still try to seek a legal annulment of your previous marriage. Was possible to marry him here in Kuwait after I seek and advice and proclamation from imam? I have been separated 5 years now but have not divorced yet because of custody and financial issues. I have met a Muslim man now that I love with all my heart. My question is can I marry him without getting a divorce in my country? And without converting? As i browse for so long time and seeking for an answer i found this site and saw u answer their questions clearly. As i will start my question, i just converted to muslim and loving the islam. I found being muslim gives you dicipline and respect for yourself and most love to Allah... As i saw some of the female muslims here in saudi, they are too dicipline on how and what time they will pray everyday encourage me alot to be converted..
About the topic about marriage failures, i have similar case from most of the people asked your advice... i am married before to a christian man and now were seperated for more than 8 long years and annulment is too much waste of time and money in the philippines.. My question is, if i will get decided to have a new love life and getting married, and as i founded that it is possible in the islam religion to re-marry under islam marriage,, but the big question for me is,,, where will be the wedding solemnization and is there a marriage contract to be given to the newly couples? How many witnesses much needed, and for the man do he need this dowry for woman eventhough she just converted to muslim? i know someone who is a shariah lawyer in the philippines who also help me.. you may want to contact her 0977-2035-730 .. she gives free legal advice.. I don't know the laws or fees in UAE. I want to ask how much did u pay for a divorce in Philippine and how many months it will take to be granted. What if the number 1, 3 and 5 was not followed. is that mean that the wedding is invalid? my husband married secretly and the parents of the girl get one of our property which was under the protection of my sister in law. I don't know anything about it I just knew it through my brother in law. They get that as mahar. Is that a valid mahar?.. Please do enlighten me i post it but nobody is answering me.. Shukran Katheran. I'm Christian married women from India, fallen in love with married Pakistani man, his family agreed for marrying with me . plan to divorce my husband coz I'm n love with this man. it is not good to go along with my husband, when I'm in love with him. I decided to marry him. what formalities for getting marry with Pakistani man in dubai? Salam alaikom. I was convert to islam 2 months ago and I met a muslim man here in kuwait. Me and him wants to married but im married bfore to a catholic man. Can we married my bf muslim even I narried in catholic man before.. we separate lives for 7 years now. We have answered this type of question many times. Please search our archives. Please do not post your telephone number or other private contact info. I am a converted islam for a year now...i am married to a christian man but unfortunately our marriage didnt work out because of third party and being a battered wife..i've been separated for almost 7 years. i met a guy who is also a converted islam from a seventh day adventist . we met 5 years ago and recently thru exchanges of messages and constant seeing we decided to leave together..we are now leaving in one roof and we decided to get married thru an islam rights. Is it possible for us to re marry inspite of our status? i didnt file an annulment because of its cost..he is also married but separated also (but not legally) for 10 yrs..i am still bringing my ex husbands last name, can i re marry by bringing my maiden'ns name? His children and my children accepted our relationship and infact they are both staying with us. I just want to asked something I am married but 5 years separated with my ex husband. He is now living with another girl and they have a child already. At this time am in a relationship with an Islam guy who just converted last March. He found peace of mind when he embrace Islam. I don't want to be haram with him . Is there any chance to get married with him if I also embrace Islam. But of course i need to study and learn right and it is a long process as well. Yes it's one of the reason but I still don't want people think that I want to convert bec my guy is Muslim but bec my heart find peaceful. Can u please help me. Do u know anyone here in Qatar whom can guide me. I got a question. What if a married man but already separated for 4 years wants to convert or become a muslim and marry another single and muslim woman. Is his first marriage valid and the second marriage is valid also in the Philippines? I'm married with a married man but now we are separated for 2 years. I have a muslim fiance now and we want to get married in hongkong or in saudi where we are working. What process should we do to facilitate our wedding? please help. thank you so much. what if a non muslim wife converted into islam the husband can remarry again???? muslim but not yet separated in the philippines married here under imaam and i also converted into a muslim at d same time.can we register our marriage in the philippines?my bf wants to divorce his wife..pls.help us.? is our marriage is valid? I'm sorry, we don't answer questions privately. Everyone's story is difficult, but if register and submit your question we will do our best to answer you in turn Insha'Allah.